If you are following tipsters, you are familiar with all the overhead involved, such as the long hours waiting for picks, having to record details for each bet placed and missing out on advised odds. The smartbet.io app will automatically retrieve picks from your followed tipsters and will place the corresponding bets in fractions of a second. All bets are tracked and full stats about your performance are available online in real time. In addition to native smartbet.io tipsters, most popular external picks platforms and tipsters are also supported. Follow unlimited tipsters and place any number of bets with zero effort. Get the best odds without having to wait endless hours for new picks. Details of all bets placed through smartbet.io are recorded and made available online through a variety of filters and options. Monitor your performance without ever having to manually settle or record a bet. ROI should not be the only figure by which a tipster is judged. Equally important factors are market liquidity the moment that a pick is published and if odds are available in Pinnacle/Asians or only in “soft” books. Contrary to conventional pick distribution methods like email, website postings, telegram, twitter, etc, picks submitted to smartbet.io are encrypted and automatically distributed to all followers instantly. Since the corresponding bets are also placed instantly, there is no room for resellers to distribute picks, as any impact on the market will have been made by legitimate followers long before a reseller has the opportunity to further forward picks. Free yourself from the constraints of scheduling sending times and issuing advance notifications. Just submit a pick and smartbet.io will ensure that your followers will place the corresponding bet instantly and with zero effort. How is smartbet.io different than conventional pick distribution and verification platforms? No need to keep your followers online waiting for picks or send advance notifications. Legitimate followers will be able to get the best prices without having to stay online for hours. Since legitimate followers will be able to place their bets instantly,possible resellers would be sending picks long after any impact on the market was made, essentially distributing worthless info. Tipsters can submit picks either manually or by an open email interface offering endless options for automating pick submission. Anyone can leverage any kind of source such as web pages, excel files, telegram channels, external applications that can automatically generate picks based on criteria such as arbs, dropping odds or any other value proposition and feed the picks automatically to smartbet.io for further distribution to followers. Followers can be charged either a % of stakes accepted or a flat cost per pick or a combination of both. This offers maximum flexibility in deciding on an efficient pricing scheme that would appeal to as many prospective followers as possible, contrary to conventional pricing models where all users pay the same regardless of stake. Instead of verifying picks on tipster submitted data, smartbet.io recorded picks are verified against book odds at order execution time. This means that recorded odds are what followers actually achieve - not what the tipster submits or what is available at pick submission time. This ensures that all results are genuine and quoted prices are indeed valid and attainable. Most tipster platforms are only offering control options for limiting number of followers, but it only takes a single player to destroy a low liquidity market. WIth the ability to restrict both number of followers and max allowed stakes, a tipster can ensure that as many followers as possible can get the advised price. Tipsters have full details on all orders placed by followers on their picks and can have a clear picture of the impact that their picks have on the market. Strategy can be further fine tuned to ensure that as many followers as possible can get the advised price or close. Not only can you use the app to automatically place bets from tipsters that you follow, but you can also place your own bets in the fastest way possible. A powerful search function allows you to instantly locate and place a bet with no need to login to bookmaker websites, scroll multiple pages, ctrl-f searching, handle timed out sessions by having to re-login, etc. All bets placed are also tracked and complete stats are available in real time, so no need to keep separate records either. 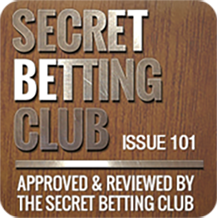 Become part of a growing community of sports betting fans and investors. Expand your user base, stay informed about industry trends, showcase your talent or simply meet like-minded people. I was hugely impressed by my experience in using the bot - so much so that I am continuing to use it to place tips - all automated on my behalf.